The Parish Council has agreed and published its action plan for the next financial year. 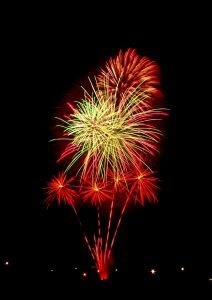 You can view it and find out about more what the Parish Council does via this link. Coxhoe Parish Council have cancelled the up and coming Environment and Finance Committees that were due to be held on 11th February, Please note that the meetings will not now take place. The approved minutes of the Youth Strategy Group Committee on 13th December are now available online via this link. 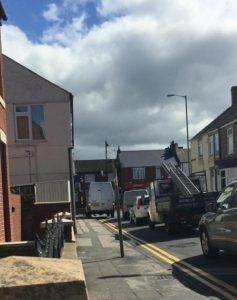 Following the public meeting that took place in October attended by Parish and County Councillors, local residents and traders, the Parish Council undertook a survey to find more residents views on the issues affecting Cornforth Lane during January 2019. 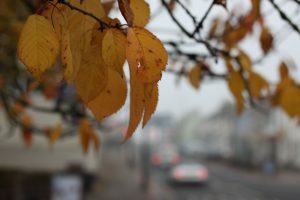 As some of the options arising out of the meeting could significantly impact on residents of the streets along the Lane, the Parish Council consulted residents for your views. The survey involved a short questionnaire which was available online and in paper copies. 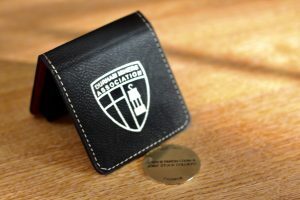 The Community will be aware that the current Chair and Secretary, Paul and Nicola Dodsworth are to step down at the next Annual General Meeting which will take place before the summer. 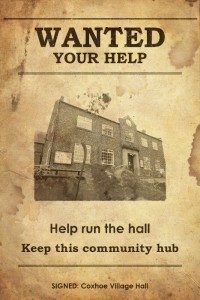 The Village Hall desperately need new blood to come and take over the leadership and running of the Hall and are arranging a public meeting to encourage support and volunteers. The Village Hall has made pleas for people to come forward and some expressions of interest have been made. They need more people to come forward and in order to discuss the future and encourage others to come forward they are holding a public meeting in the Village Hall on Wednesday 9th January 2019 commencing at 8pm. They are inviting all those who have expressed an interest to come along with anyone else who can spare some time to help sustain the future of this important community hub. The meeting aims to discuss the current situation and to prepare for and begin the transition to a new Committee and Friends of the Village Hall Group. The Village Hall want to encourage as many people to turn up and offer help. Please come along, the future of the Hall is at risk. We have published a number of meeting minutes and draft meetings online. The Youth Strategy Group minutes for the meeting on 20th September 2018 are available here. 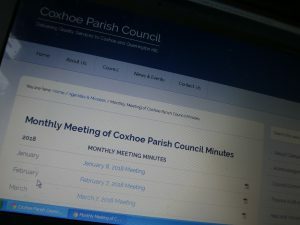 You can access the approved minutes of the Monthly Meeting of Coxhoe Parish Council on 7th November from this link. The minutes for the Special Meeting of Coxhoe Parish Council on 19th November 2018 are available here. The future of the Village Hall is now at risk. The Village Hall is a community facility run by volunteer members of the community. Currently there are only four people on the Committee and the current Chair and Vice Chair are retiring in mid 2019. Should no one come forward to help run the hall then its future is in great doubt. It could be that in such a scenario the village hall might have to close its doors. For the many, young and old, who depend on the Hall, and to the village in general, this would be a disaster. The Village Hall therefore needs volunteers urgently. Please come forward and help save this vitally important community hub. If you are interested please contact Karen Williams by email at admin@coxhoevillagehall.com or or ring 0191 377 0344 and ask for Karen for more information. The Parish Council will consider a public meeting should this prove to be necessary. Find out more about the Village Hall here. 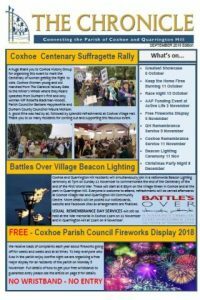 Coxhoe celebrated 100 years since the end of the First World War on Sunday 11th November. On the 11th hour of the 11th day of the 11th month 2018 Coxhoe Village remembered all those who had fallen in service of their country. Many attended the Service of Remembrance on the morning at Coxhoe War Memorial where 147 crosses were placed to remember the local men who did not return from WW1 by children from Coxhoe Primary School. Our Tribute continued in the evening when Coxhoe was honoured to welcome Ms Pam Royle The Deputy Lord Lieutenant who read the ‘Battle’s Over Poem – Tribute to the Millions’. Mary Egglestone, a long time supporter of the British Legion and long time organiser of Remembrance services in the village, read an extremely poignant reminder of why we had gathered to remember those who had given their lives to allow us to live in peace which she had written. Reverend Alison Richardson and Father Swales also gave commemorations. After that the Beacons were lit by Ms Royle, Ann Burn, Forces Veteran Jim Murray, Claire Briton on behalf of our church communities and Lily Woods and Violet Clarke from Coxhoe Primary School. Ms Royle was presented by Coxhoe Primary School children a hand made wreath which incorporated all 147 names of the Men who fell in WW1. Residents then enjoyed refreshments and a superb display provided by Coxhoe History Group in the Village Hall. Coxhoe Parish Council and the Active Life Centre@Coxhoe has submitted bids for grant aid to an annual funding competition. The It’s Up 2 U scheme is a method of ‘Participatory Budgeting’ that allows people to take part in deciding the allocation of an amount of public money. 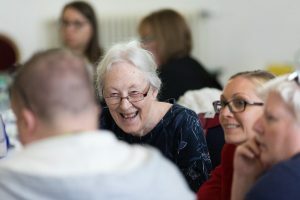 In practice, this can range from funding community and voluntary groups to deliver projects of local value, to allowing residents to shape what and how mainstream services are delivered in their areas. East Durham Rural Corridors’ Area Action Partnership has put £33,000 into the It’s Up 2 U scheme. 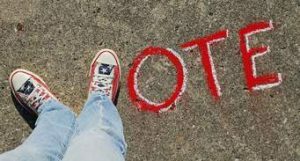 Four votes will be allocated to each of those attending who live, work, volunteer or study in the AAP area and are aged 11 or above. The East Durham Rural Corridor AAP covers the parishes of Old Cassop, Bowburn, Parkhill, Cassop, Old Quarrington, Quarrington Hill, Coxhoe, Kelloe, Trimdon Station (Deaf Hill), Trimdon Colliery, Trimdon Grange, Trimdon Village, Fishburn, Sedgefield, Bradbury and Mordon. The overall aim of the scheme is to support projects in the AAP area that have the potential to improve the lives of residents, increase activities and opportunities on offer and enable change. The scheme aims to support community groups and organisations to deliver projects that will help address the priorities chosen by local people. Projects should address one or more of the priorities being tackled by the partnership in 2018/19. Coxhoe Parish Council has made a bid for almost £7,500 to fund proposals to refurbish the cricket pavillion. the Active Life Centre has made a bid for a similar amount to upgrade their special events area including extra staging, a sound sysrtem, addional tables and chair covers. If the two Coxhoe schemes do not get enough votes the money will go elsewhere and as you can see there are significant bids from Sedgefield and Fishburn particularly. Please, please come along along and vote for the Coxhoe projects. Various free fun activities will be going on such as meeting Santa Claus and face painting and food and refreshments will be available to purchase throughout the day. Please note: Registration will close at 1.45 pm and voting closes at 2.00 pm. The September edition of The Chronicle is now available on line. The Chronicle is now at the printers and will be delivered to all households in early October by volunteers. It is packed with details of new and past events. Please take time to give it a read so you can get the dates in your diary and not miss out. You can access a copy of The Chronicle here.